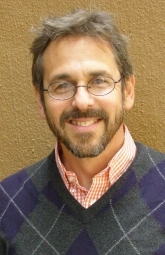 Michael Davidovits, PhD, LCSW, is a teaching faculty member and Assistant Director of the Project for Adolescents and their Families at the Ackerman Institute. He is also a lecturer in the Narrative Medicine Program at Columbia University, and a clinical supervisor in the Family Medicine Residency Program at the Columbia University School of Medicine. Dr. Davidovits offers frequent trainings throughout the metropolitan area on conducting family therapy with adolescents, and maintains a private practice in Manhattan.